A collaboration with artist Esra Ersen. Esra Ersen and I are both artist living in Neukölln, a multicultural and especially Turkish district of Berlin. We were invited by curator Mika Hannula to produce an artwork to take place as a part of a Lutheran service in the Finnish Lutheran church called Passion Kirche, which is situated near our neighborhood. Imam in the Church is an intervention that took place on Valentines Day in 2010. 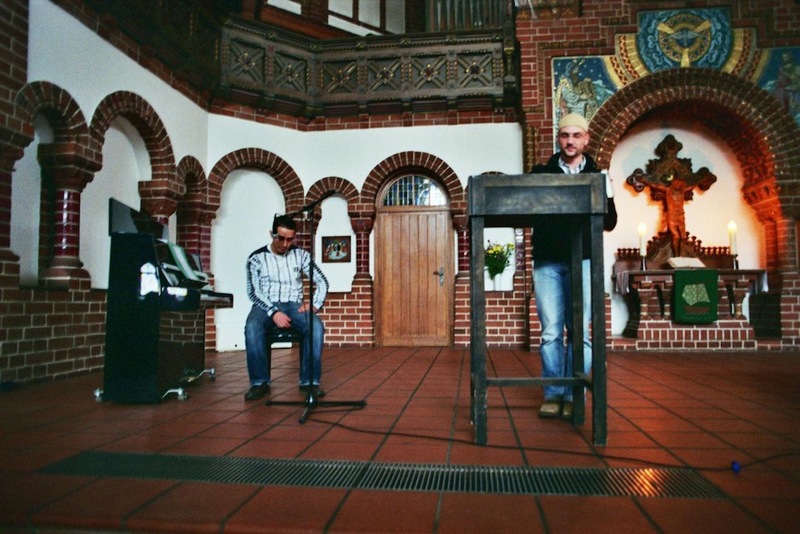 Chalid Durmosch from the nearby Mosque Şehitlik-Moschee was invited to reflect on the subject of love with Lutheran priest Kai Henttonen. 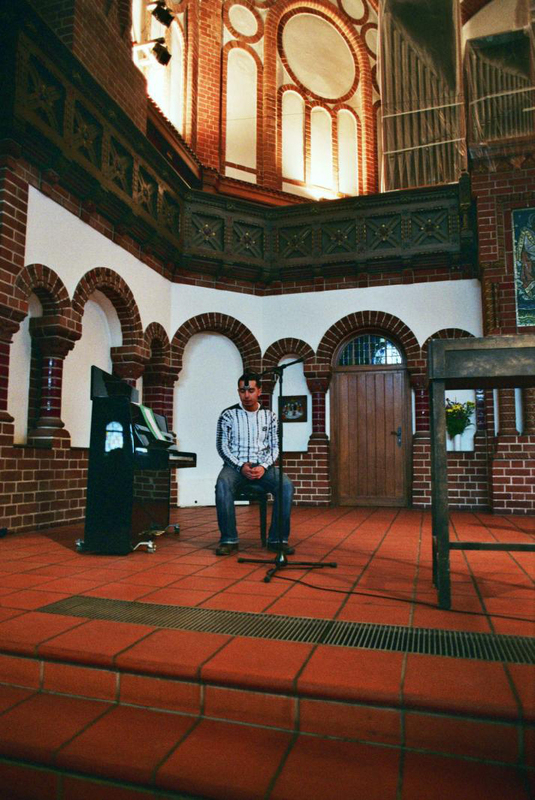 The resulting intervention was a singing performance by a singer trained in Quran recitation and speeches on the theme of love by both Chalid and Kai. The service ended with all the participants of the service making a tour around the church with a candle in their hands. Imam in the Church. Still from the intervention.